Documenting the progression of lives is best captured through portrait photography. Portrait photography is much more than a photograph. A portrait captures personality and documents a moment in time. Lori J Photography brings art into your home through portraits. 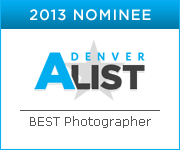 Your portrait session will include 90 minutes of shooting in a scenic location of the Denver metro area. A portrait session is more than just snapping photos, it’s about the expression of your family and capturing your personalities. After your photography session, we have a Session Premiere in the comfort of your own home in which you have my direct expertise and assistance with creating the perfect artwork for your home. DVDs are available for purchase – remember this is an investment, not just a photograph.Portraits can include families, individuals, couples, seniors, maternity, newborns, lifestyle portraits, modeling headshots, corporate/business headshots, your lovable pets, cars and so much more. Please Contact me for reservations, or feel free to call me at 303.241.3738. Pricing starts at $225 per session. Session fees are due at the time of booking.